RX Outreach, a non-profit pharmacy based in St. Louis, MO, helps eligible patients get access to the medications they need. 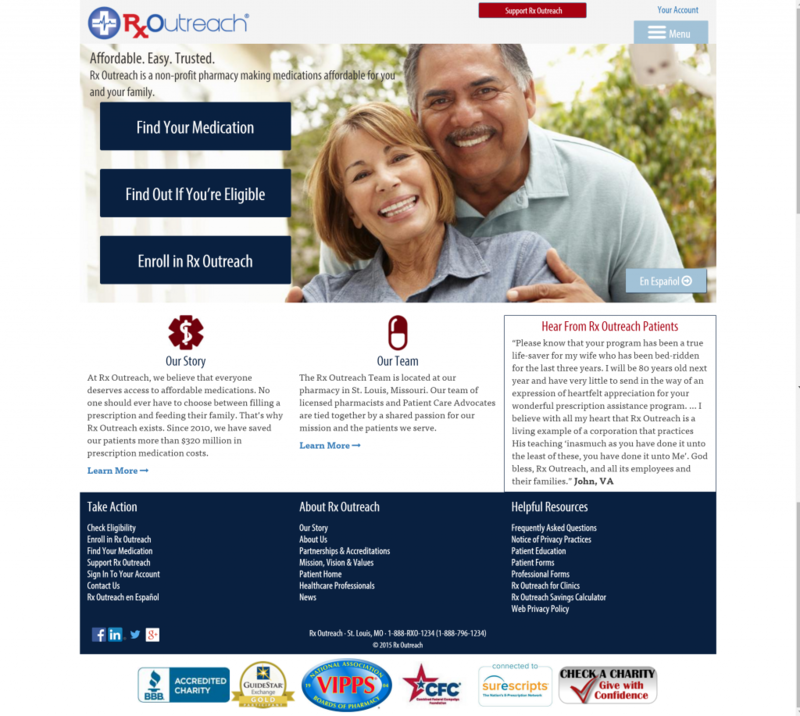 The organization’s website was outdated and needed to be redesigned to improve patient access and internal efficiency. Standard Beagle’s Cindy Brummer was brought in by the company hired for the site development to redesign the site. 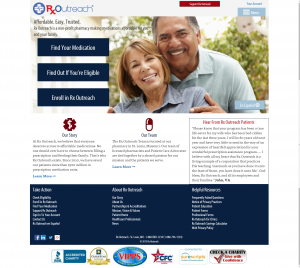 Rx Outreach wanted to make sure that the site design appealed not only to its current patients, but also to new patients. It was also important for the design to be user-friendly in order to reduce the number of phone calls to the organization. Working closely with the project manager and developer on the project, Cindy created a series of options for the look and feel and presented them to the client. Once the look and feel was agreed upon, Cindy designed the main pages for the site in Photoshop and met regularly with the developer to collaborate on features and other site elements. Elements included a medication table and web app to help patients determine in they are eligible. Both of these features required Cindy to balance the needs of the client with the user’s needs and resulted in a streamlined user experience.